I have a feeling this trend will be something we uncover 30-40 years down the road in an outdated house and go "oh my gosh, I can't believe people liked this!" But guess what, y'all? We do. We are eating up some fake wood in the design world. Trendy or not. Sometimes it just looks good. And something about the arrival of fall(or non-arrival, if you're down here on the Gulf Coast with us) has me really into wood things. Real or fake. I don't care. When done right, I think the point of faux bois is not to make someone wonder whether it's wood or not. It's intended to be an impression of wood. Some faux bois products are more literal while others get creative with it. 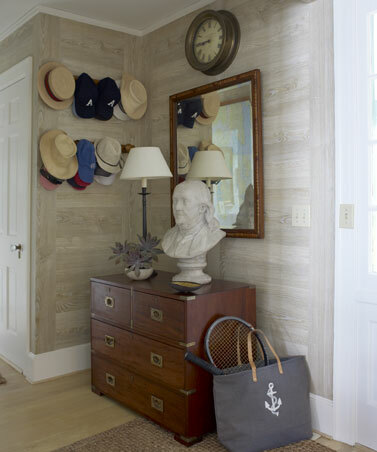 Tom Scheerer uses a ton of faux bois wallpaper in his stunning interiors. Please spend a while browsing his website. You won't be sorry. 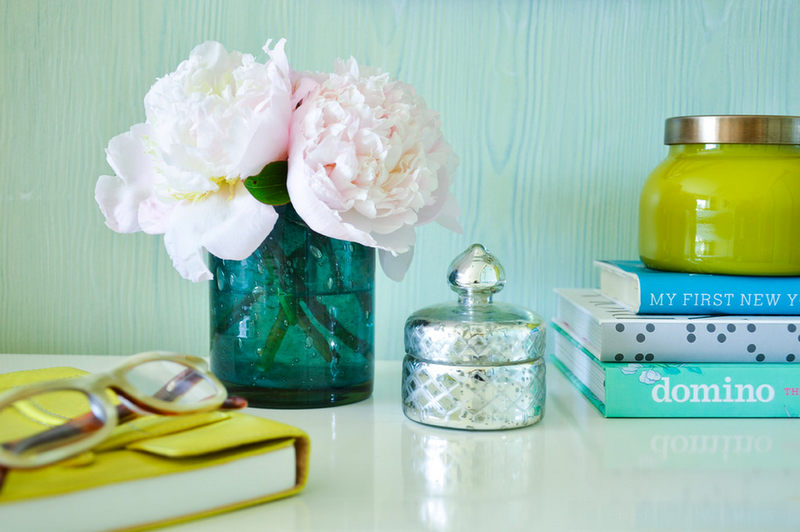 This one is a How-To from Martha Stewart! Very bold floors, but it works well in this eclectic beach cottage. How do these examples make you feel about faux bois? Some choices are bold while others are subtle worked into the backdrop of the overall design. Think you could live with it in your home? Here's some small doses of faux bois I found that would be very easy to personalize and incorporate into a space. Check them out! You can also get creative by painting your own faux bois pattern on something around the house. Maybe the top of a painted dresser, a chalkboard menu, your last name initial for a DIY wreath, the wall behind your television. Recycled barns and ships, oh my!